Some of the best suggestions emerging from the national debate on education reform affirm what is basic to Waldorf - that education must be grounded in a profound understanding of the developing child. What a child needs at various stages in their development changes and a curriculum that adapts to meet the specific needs of the maturing child does more then help them acquire information. It supports them at their core though meaningful engagement with people and ideas. Waldorf teaches the whole child by engaging the mind, body and spirit - the intellect, the senses and the will. In this way, Waldorf brings the right thing at the right time by caring and well-prepared adults in creative and experiential ways. Students are given the tools and the opportunity to discover their own capacities in an environment that encourages them to learn without fear in order to take part in the greater world around them. It is an education that is broadening, instructive and ennobling. What used to be unique to Waldorf schools is now cutting-edge pedagogy in public and independent schools: block-style learning, teacher looping, multi-disciplinary instruction (and its impact on neurological development), character education, a recognition of the importance of play and movement throughout the day (and throughout life), and teaching that engages different learning styles. 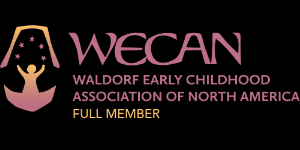 The Waldorf curriculum nurtures healthy emotional development. It fosters self-confidence and self-reliance, personal integrity and a sense of responsibility. Students prepare not just for academic success, but for a well-rounded life beyond the classroom. Our highest endeavor must be to develop free human beings who are able of themselves to impart purpose and direction to their lives. The need for imagination, a sense of truth, and a feeling of responsibility—these three forces are the very nerve of education.